Welcome to S18 Face Clinic. 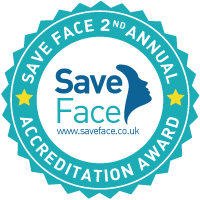 We are a nurse led clinic, specialising in bespoke facial aesthetic treatments, tailored to meet your specific needs and requirements. We use only the highest quality, clinically proven products and most up to date evidence-based techniques to ensure our clients receive excellent results every time. All of our treatments are performed by our Aesthetic Nurse Joanna Sillince, she is registered and insured nurse with knowledge and experience in facial aesthetics. We provide free no obligation consultations in a friendly one to one setting. We will only recommend treatments that we feel will benefit you and address the concerns you have expressed. Our clinics are held in Dronfield, Sheffield & Chesterfield. Had two treatments done with Joanna and loved them both. Had great results and Joanna made me feel comfortable with both. Would recommend to anyone And I will definitely be having more treatments in the future.